Before I left for vacation I had shared my thoughts on worship as the ultimate cure to one of “those” days. You know the kind I mean? Nothing is going quite the way you planned and finding a bit of joy is about as easy to do as finding …If you missed that post, you can catch up HERE before joining us for Part 2 today. When we really consider the majesty of God as Creator, Sustainer, Defender, Healer, Savior…and how undeserving we are to receive His attention, let alone His love, mercy, and salvation…our hearts can’t help but worship Him! So how do we make worship a natural response of the heart and a regular part of the home? I want to give you some practical tips and resources for doing just that! 1. Input is related to output. First of all, we have to recognize that worship is a matter of the will and we have to choose worship, by the power of the Holy Spirit over the multitude of media clamoring for our attention these days. Sometimes it is as simple as turning off the TV, closing the laptop, and tuning off the “Oldies but Goodies” 80’s station. I’m not denouncing all forms of secular input (I’ve already confessed my love of Downton Abbey and I’m embarrassed to say I’ve seen every episode of Friends more than a gazillion times!). I’m just saying that if you want to have a more worshipful output you have to be intentional about the input! If you don’t already have one, you should! Pandora offers free, customized radio stations and it has truly transformed the way I worship through my day! 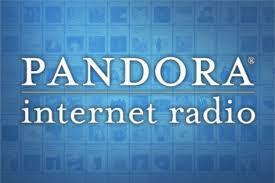 You can listen to Pandora via your computer or smart phone. Once I got an iPhone, I began playing worship music and carrying my phone from room to room as I worked throughout the house. Pandora provided the background music as I jogged with my kids in the stroller, and (this might be a little strange), I even play Pandora through my phone in the car instead of listening to regular radio. Why listen to commercialized Christian radio that is made to appeal to a broad audience when I can listen to music tailored right to my tastes?? I can listen to the Chris Tomlin station, Third Day Station, or even Cedarmont Kids Station for good ol’ fashioned Sunday School tunes for the kids! 3. Find some worship artists that inspire you and make your heart sing. 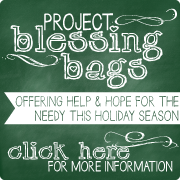 If you don’t already have a few, ask friends! A couple of my favorites are ones I just mentioned – Chris Tomlin and Third Day – along with Bebo Norman, Big Daddy Weave, Watermark, John Waller, and Jadon Lavik. 4. Keep your worship music selections fresh. We all have our old favorites but new tunes are motivating! To keep your music collection updated without having to spend a fortune on CDs or iTunes downloads, check out Rhapsody Online Music Subscription Service (http://www.rhapsody.com/freetrial2). You can get a 14-day trial for free and then pay only $1 for your first 3 months of service. After that, it’s only $10/month for use on up to 3 devices. 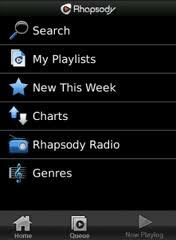 With Rhapsody, you have access to virtually any song out there! Unlike Pandora, you can search for songs by author, title, or listen to a whole album. As long as you are a member, you can even download any music you want! It’s incredible! Rhapsody also offers internet radio stations similar to Pandora if you like your music generated randomly or you can choose to create personalized playlists. 5. Find worship songs that directly quote Scripture. This will put God’s Word in your heart all day! 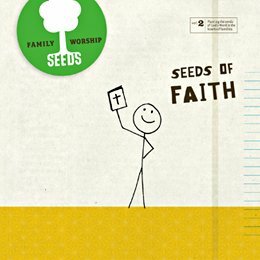 I’m sure there are many good options for this, but my family’s new favorite is Seeds Family Worship (http://www.seedsfamilyworship.net/). I discovered them about a month ago when a friend gave us their “Seeds of Faith” album and the songs have really been ministering to all of us! I love that they have a wide variety of styles on each album. Their whole mission is to engage the whole family with worship and there is definitely something that appeals to all of us! Here is a direct link to their store. http://www.seedsmusicstore.com/ and they are also available on Amazon. I did say “Top 10″…but I’m going to leave you hanging! Check back tomorrow for my last 5 worship recommendations in “Filling Your Heart and Home with Worship – Part 3” – our final installment in this series. In the meantime…I’d love to know which worship artist or worship album most makes your heart sing! I love this! Thank you so much for the 3 part post – it has really spoken to my heart. As a child, I remember always having some type of worship music on at home. I feel that a lot of what was planted in my heart in the early years was from music. I really want to have the same type of environment for my boys and this has inspired me to get the music turned on! Sometimes I feel like with 2 boys, there is always so much noise 🙂 and I would rather not have anything on, but while that is good sometimes, I think all of our moods/attitudes would be positively impacted by having worship music on in the background! Thank you for the pandora/ rhapsody suggestions, as well as the music suggestions – it’s always great to have fresh new music to listen to! 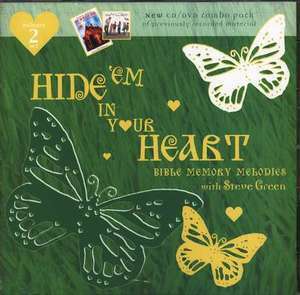 And I LOVE the idea of purchasing a hymnal!! 🙂 Thank you again!! That is a great idea to play the music during those “obnoxiously” loud moments – thank you, I am definitely going to try that!! I completely agree about the cleaning – it’s so much more enjoyable when done to music! 🙂 And my husband is the same – he jokes that I would prefer our house be like a library – oh how I love peace and quiet! haha Our oldest boy, Jacob, just turned 4 and our youngest, James will be 1 in 10 days! They already love seeing who can scream/squeal the loudest, so I can’t imagine the future my eardrums have in store! 🙂 Thank you again! I signed up for rhapsody this morning and we’ve been listening to some fun veggie tale worship music already! 🙂 Have a wonderful day! !